The inauguration of the Signature bridge in Delhi has courted more controversy than a hearty welcome of the bridge, wherein BJP MP Manoj Tiwari got into a scuffle with AAP supporters and Delhi police. 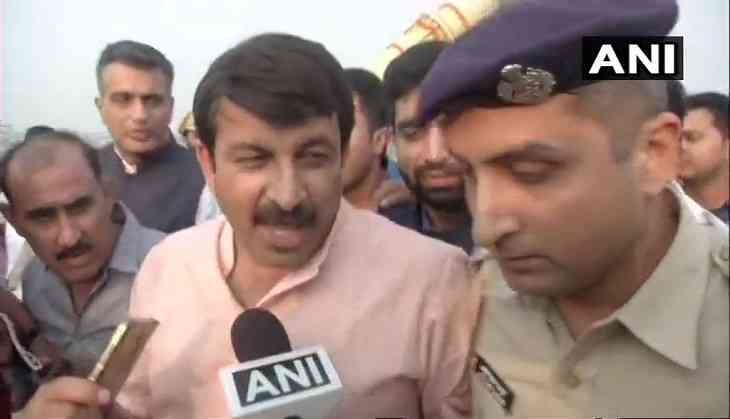 The Aam Aadmi Party had not invited the ruling BJP to the inauguration of the bridge but Delhi BJP chief Manoj Tiwari had reached the spot with his supporters, claiming that he was invited. Thereafter, a scuffle between the two groups broke out and Manoj Tiwari was spotted hitting Delhi police and the video went viral. But, today Manoj Tiwari has written to the Deputy Commissioner of Police in northeast Delhi that AAP MLA Amanatullah Khan, Delhi CM Arvind Kejriwal and other unknownm people were involved in pushing, hitting and other kinds of violent act, carried out during the event. BJP leader Manoj Tiwari has alleged that AAP MLA Amanatullah Khan was present during the event and he was seen pushing Tiwari during the Signature bridge inauguration on November 4.